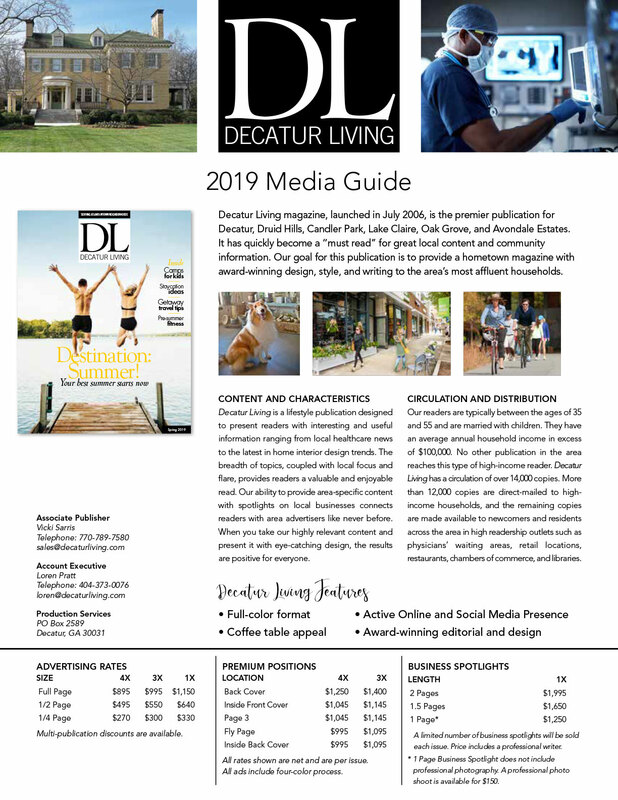 Decatur Living magazine, launched in July 2006, is the premier publication for Decatur, Druid Hills, Candler Park, Lake Claire, Oak Grove, and Avondale Estates. It has quickly become a “must read” for great local content and community information. Our goal for this publication is to provide a hometown magazine with award-winning design, style and writing to the area’s most affluent households.